Dear Readers we would like to introduce "Ajit Balgi", He is an independent wine consultant and trainer; he is also an active blogger on food and wine and is based out of Mumbai. 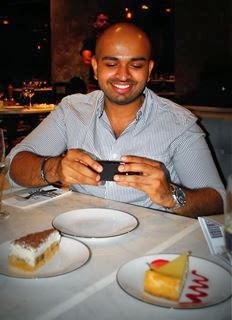 He lives his passion for good food and wine by exploring it with every given opportunity. He has done his hotel schooling from IHM,Mumbai and is a management graduate from S P Jain institute of management and research, Mumbai. In the past he has been involved in a night club managment role for the Marriott, specialized in wines at the Soho House London, did beverage research and consulting for Tulleeho, and last was involved in a start-up for loyalty solutions for hospitality. 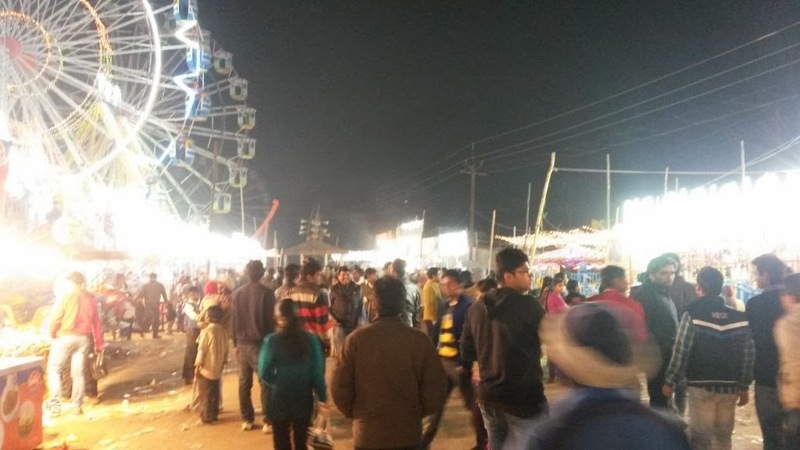 Ajit has recently visited Gwalior and drafted his food and beverage experiences of Gwalior . 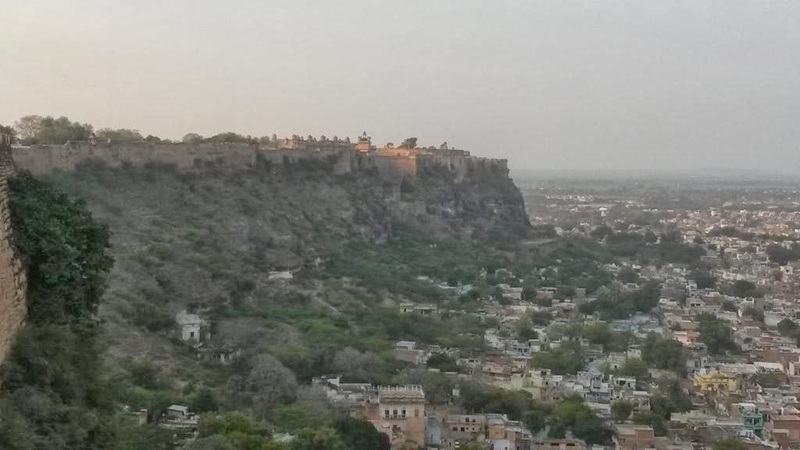 Lets check out how was Gwalior's Hospitality during his visit. A wedding invite from a friend got me elated as the invitation read Gwalior, royalty was one thing I could associate with the city and hence had no second thoughts before I got my tickets done. As the date approached I was frantically looking up on the internet and appealing to friends on social media to direct me to places to eat as I found some cues on sightseeing destinations and also got to know about the musical history of the place but with no responses to eating out I thought to myself, does Gwalior have anything to it!! 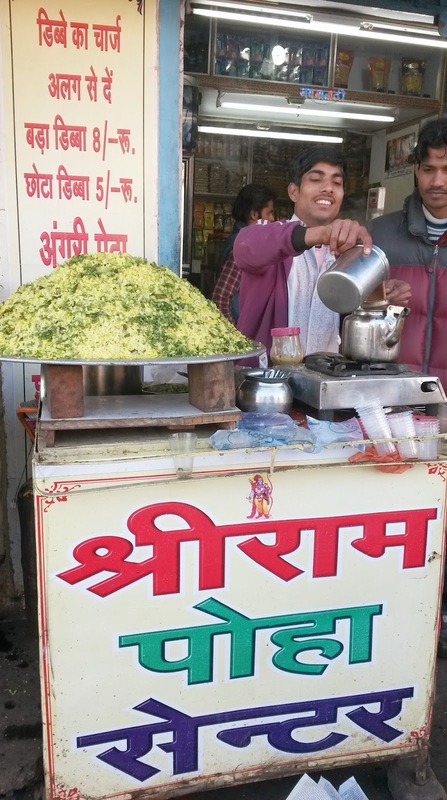 I reached Gwalior on a fine morning, there was chill in the air and there were food stalls outside the station displaying huge mounds of poha and ‘boiling’ chai. 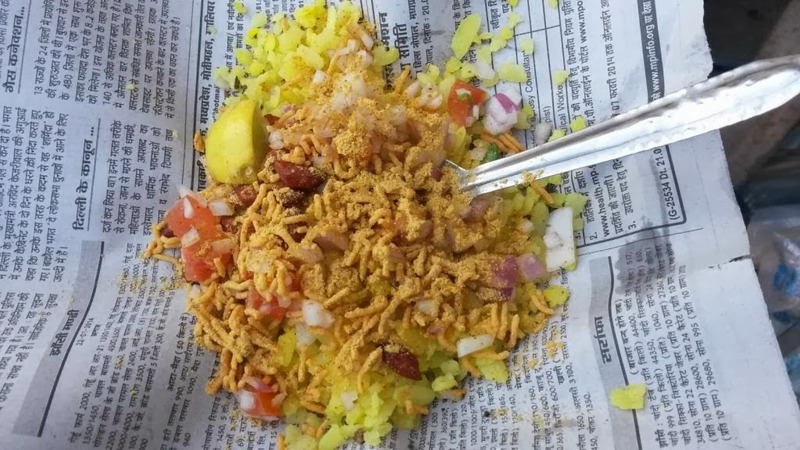 After a quick glance we settled at a poha shop outside Agarwal sweet-shop, he quickly dished out some poha and garnished it with chopped onions, tomatoes, coriander, sev and a black-salt forward masala ( which we later found as a popular condiment). The first spoon and I knew this was something I never had before, in a few minutes that we polished off two portions each of the same followed by adraki chai. 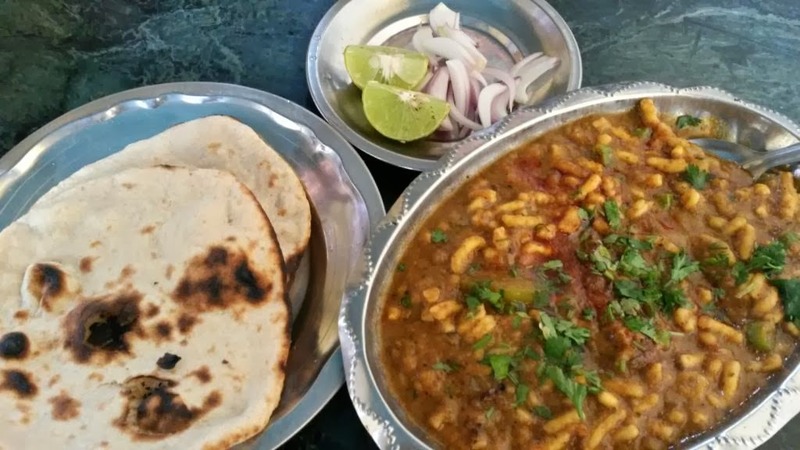 (People who’ve had the poha from Indore may refute this, I will not comment till I do the honours) My first gastronomic tryst with Gwalior was a big thumbs-up. We haggled with a few auto guys before settling for one to ride us to our accommodation, we were staying with a local. After a quick shower and another round of tea at our host we set out hoping for an eventful day and landed up at the MP tourism office at hotel Tansen residency. 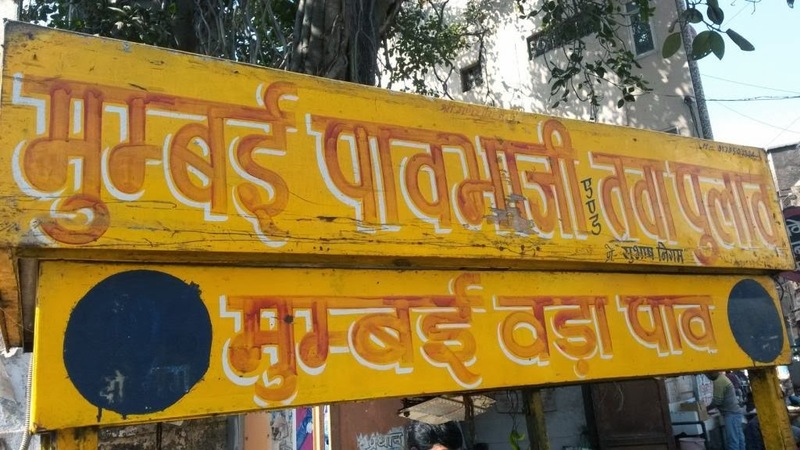 I had read about an open air Gwalior Darshan mini-bus starting from there, we spotted the bus but they required a minimum of 8 people for the tour. We decided to explore the city on our own, is it not the best way to do it!!! In the process we figured out tempos “share autos” are the lifeline of the city, they were numbered from 1-10 or so and only ran on specific routes with minimum fares starting from 5. 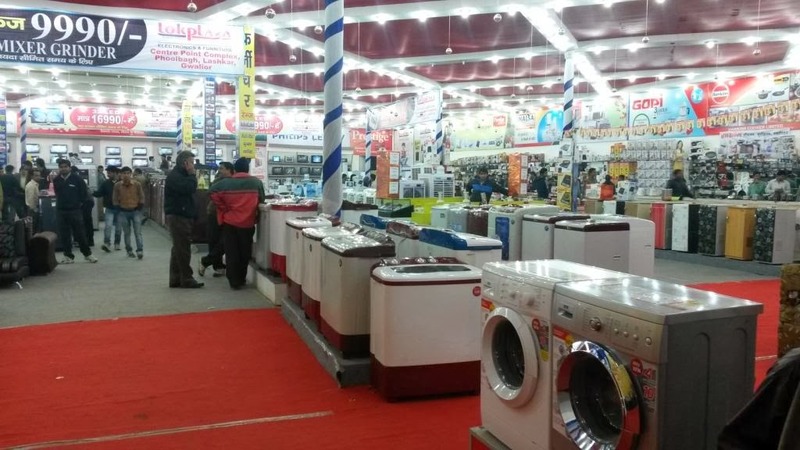 We used them all day and were pleasantly surprised with their connectivity, efficiency and cost effectiveness. 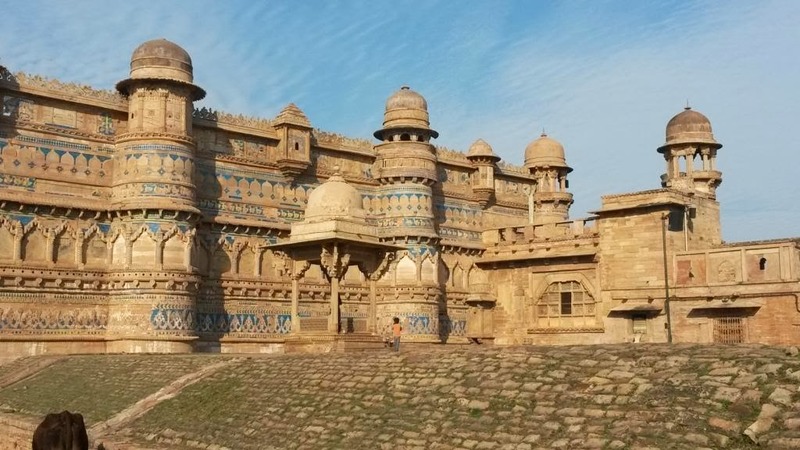 Gwalior is a small and round city, you can cover everything in a day as traffic woes are non-existent and everything is less than 15 kms to reach and yes the tempos take you everywhere, almost. Built in the 1870’s by the Scindias, one part of this palace has been opened to visitors and the remaining still houses the scions. Won’t express any views on its architecture as I do not understand head or tail about it, all I can say it is that this will take you back in times. If you are a historian or an architect you can spend hours gathering info, but for commoners it is the sheer awe of the palace and selfies with monuments and antiques JIt was also very nice to know the life history of Late Mr Madhavrao Scindia through memorabilia, right from his cricket kits to his Oxford degrees. Tickets are priced at Rs 60 and a similar sum for shooting pictures. We finished our tour in less than 2 hours without a guide. One may take more if you use the services of a guide. Built in the 14th century by Man Singh Tomar this palace is an architectural marvel. 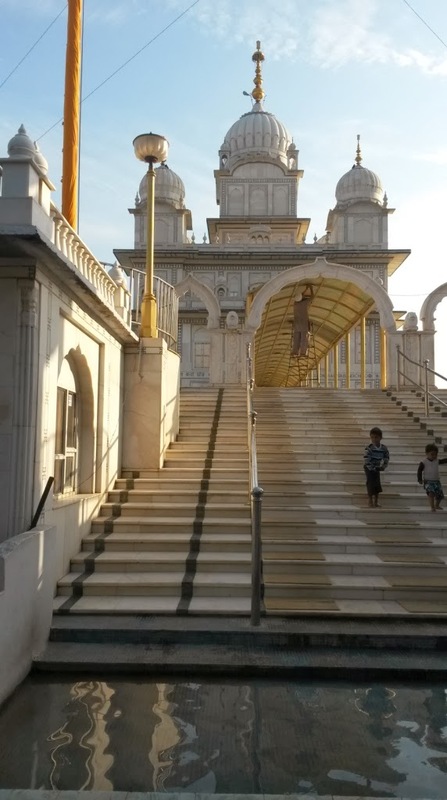 You would love to be lost in the three floors of the mahal. And yes you will find a lot of guides as young as 12 years speaking impeccable English to take you around, would remind you of ‘slumdog millionaire’. 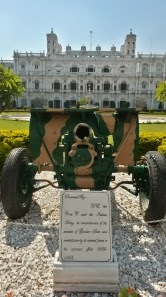 It is the most recent place on the fort. Built in the memory of the heroics of the sikh Guru Hargobind Sigh. The guru was imprisoned in the Gwalior fort and later released by Emperor Jehangir, hence the name ‘Bandi chod- release of the prisoner’. You must visit for the tranquility and peace it offers. Why is it called so? Nobody had a clue. 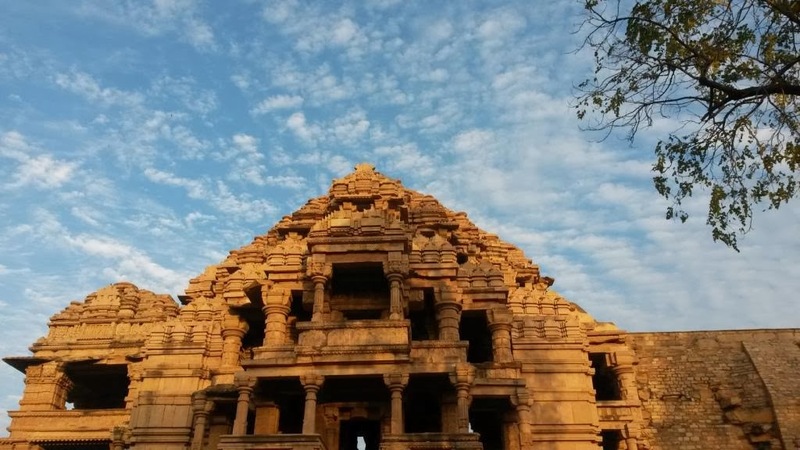 They are remains of once upon a time mandir, but it is the place to visit just before you end your visit to the fort. With unobtrusive views of the city , the clear sky and the silence in the air you will leave the place happy. 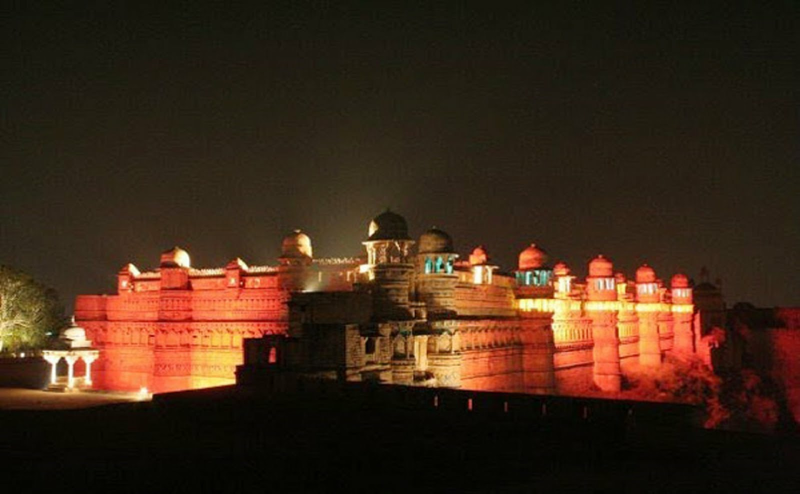 The fort also hosts a light and sound show post 1830 hrs in an amphitheatre style arrangement near the Manmandir palace. Some guides who got friendly over refreshing glasses of lemon juice advised against it. You will not be let in to this posh,19th century boarding school on the fort. With alumni including Salman Khan,Saman Khurshid ,Late Mr Madhavrao Scindia himself and many others, the guides had a lot of stories to tell. We saw a big group of students cycling, ‘Jo jeeta wahi Sikander’ was all I could think of. Never ever have I seen such a fair which lasts 2 months from December to February on a huge expanse of land. It was extremely colourful , tiny eateries, to huge electronic showrooms to adventure rides to wares on cart. A spectrum of colors, people and moods, It was fun! You will struggle to find a lot of sit-sown restaurants which are at least ‘udipi’ like. All the action happens on the road here. After a point we were happy settling ourselves at a sweet meat shop for tea, a dilapidated decades old eatery for lunch and of course the poha has to come from thelas. You have to come here to realize the value of 10 Rs. We tried it at a few places. It is consistent in taste and price but the one we had first at the station was exceptional. 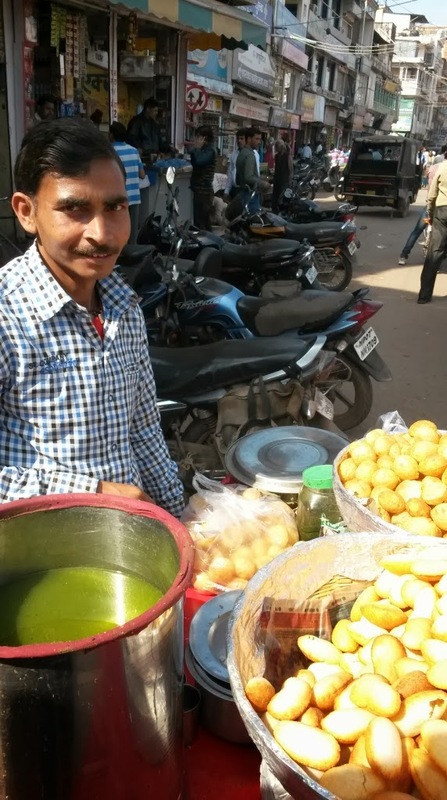 We all know of the classic Jalebi-Poha combo in Indore, but it does not seem very popular here. 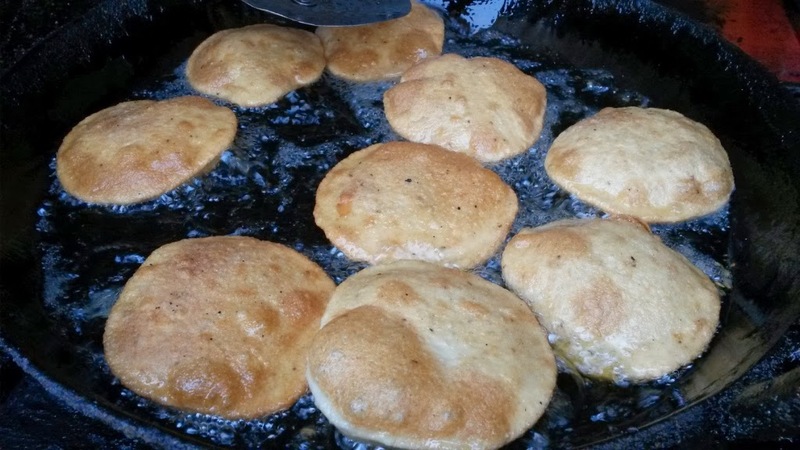 Bedai is a puri made with a combination of flours and stuffed with dal, the texture and taste is reminiscent of the Malvani vadas and the sabzi is aloo in hing flavoured gravy. They are a staple here. Served with chutney and sabzi if asked for. Thick sev in a very spicy chilli and onion gravy with bajra rotis, a good winter bet. 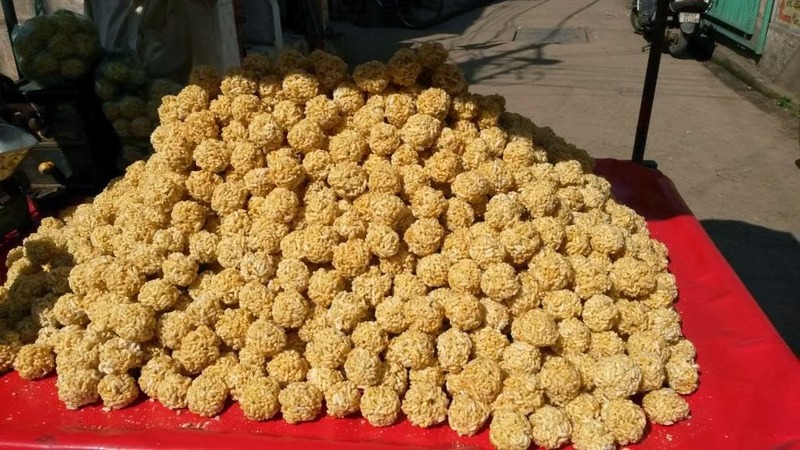 Stuffed with dry coconut and mava/khoya, readily available, they are at their juiciest best. One dish several names. You will find them in every 100 metres and they open shop at 10 in the morning. But 10, really? I found them strictly okay. 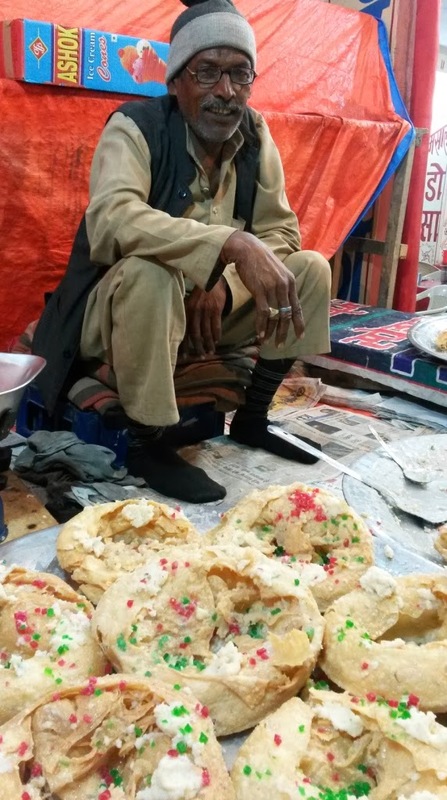 But for the pav, the wadas were very similar to ones back home. They are getting popular. 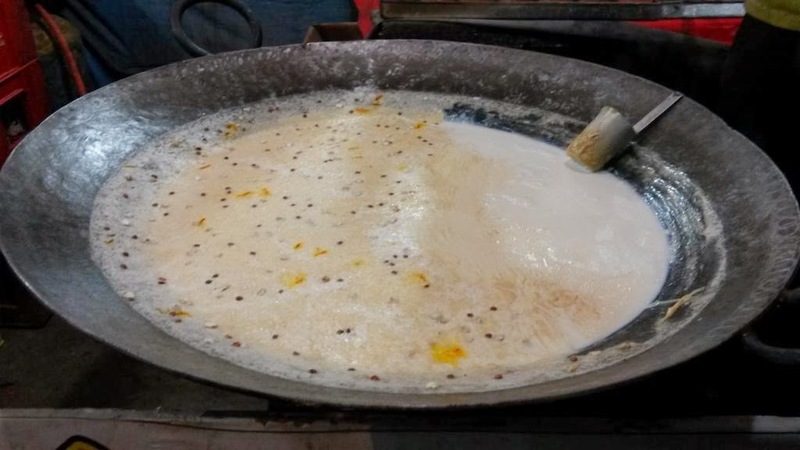 It is a winter affair, simmering milk garnished with saffron and charoli nuts in flat kadhais are a common sight. Do relish some to end your dinner. I must appreciate about the city is the auto drivers will not fleece you , the rates they would quote end up ranging from 10-12 Rs kilometer which is fair by all means. 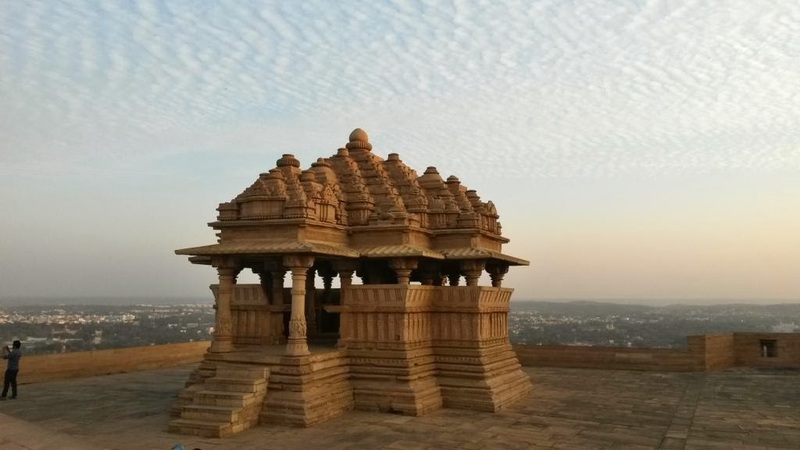 If you are in Gwalior, you are surrounded by a lot of getaways in the 150 kms range. Agra is around 130 kms. Go pack your bags now! !